Wow! What an adorable transformation! Many of you may remember this room as a master bedroom, and as promised, we wanted to reveal how to use almost everything from that room in a new way as nursery. To fully understand the what, why, and how of designing this room, you can revisit it here, but let’s look at how a few small changes turned a sophisticated bedroom into a lovely space for your darling baby. It stayed the same! Still a perfect shade of pink is Benjamin Moore’s “Frosted Petal” (2089-70). Pale and warm without too many cool notes, this shade is delicate and strong all at once. It’s a magical color for a bedroom because it’s a whisper of pink without being too soft. Adorable in a nursery! No surprise, it almost all stayed the same! And again, you can read about why everything works so well together here. 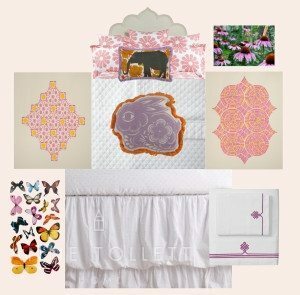 But what we added was a charming bunny pillow in the same vein as the elephant pillow and textural butterflies. This gave the room a youthful whimsy. 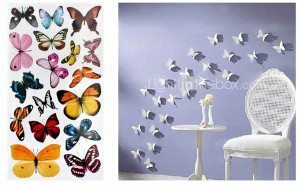 The butterflies are a mix of realistic wall decals and three-dimensional white ones. The combination is so fun and pretty – best of all, if she outgrows them, just peel them off. So easy! 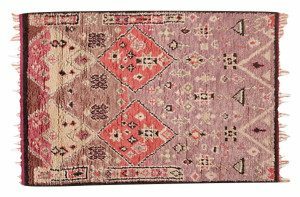 Pairing sea grass and wool rugs is still a classic, but now the benefit beyond a stylish pairing is function. 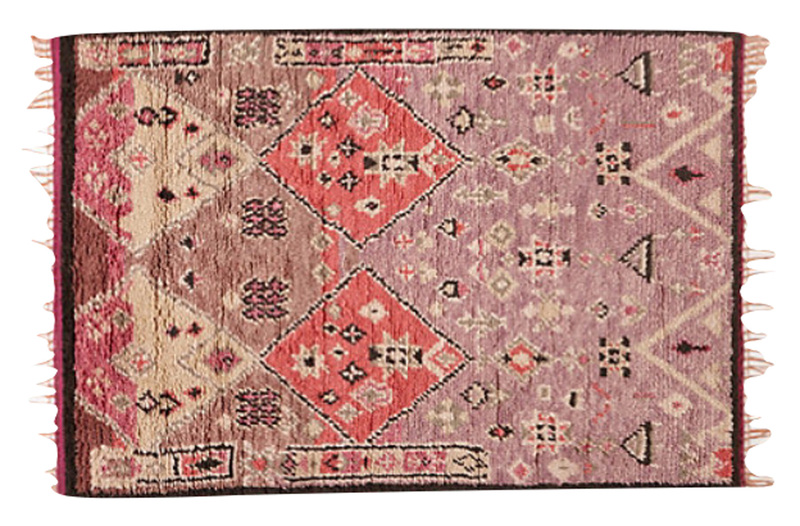 The shaggy, soft quality of this rug is a perfect place for your baby to crawl and play. 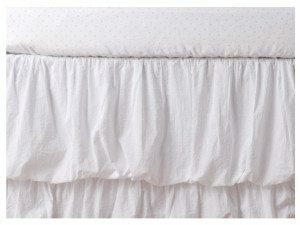 The crib bedding is ethereal and light with a hint of a polka dot. 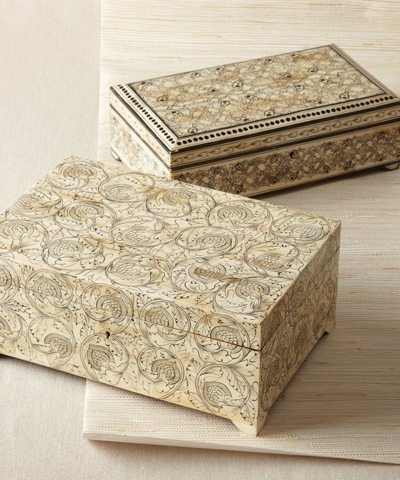 It plays a supporting role in the room yet still completes the look. Best of all, it is crazy well priced! 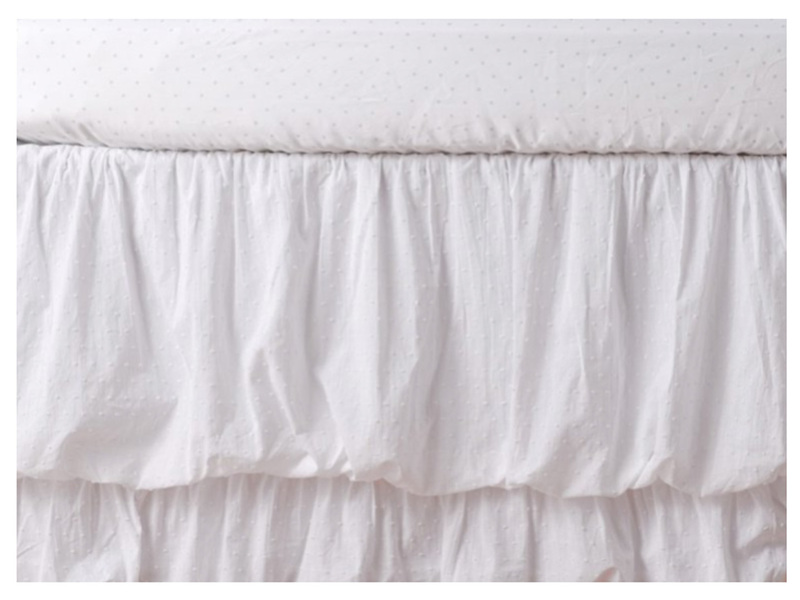 My babies always had unsightly “events” in their sheets, so I came to adore bedding that was practically disposable…. I never thought I would type that sentence! And I loved that we repurposed the scrimshaw jewelry box for holding diaper cream, thermometers, lotion, and any other baby necessities. The headboard remains the focus of the room and still sets the tone, but we shrank the size to twin for this room. And because a baby sleeps here, we could not forget the crib! As interesting as the headboard in the Pink Room, this elegant piece echoes the curves of the mirror, overhead light, and side table but doesn’t compete. We didn’t have room for a changing table but the dresser was an excellent place for a changing pad. 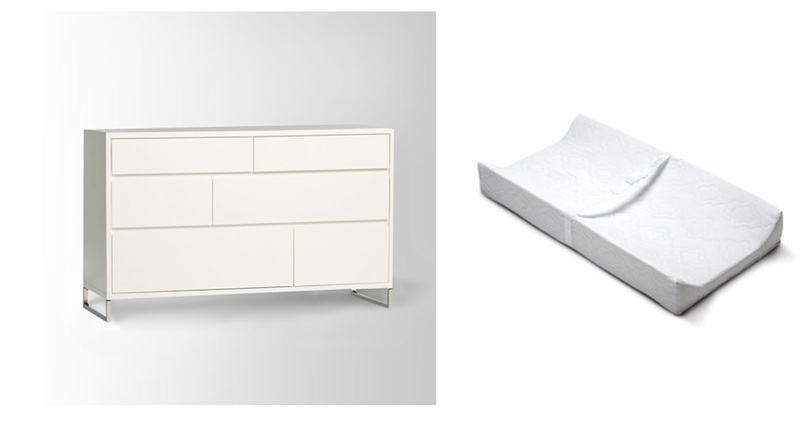 I used a dresser/changing pad like this for both of my girls, but it comes with a little caveat: you literally cannot turn your back for one second! The pad isn’t attached, so a wiggly little baby can easily fall even when strapped in…. This chair is a great place to snuggle and ready books. 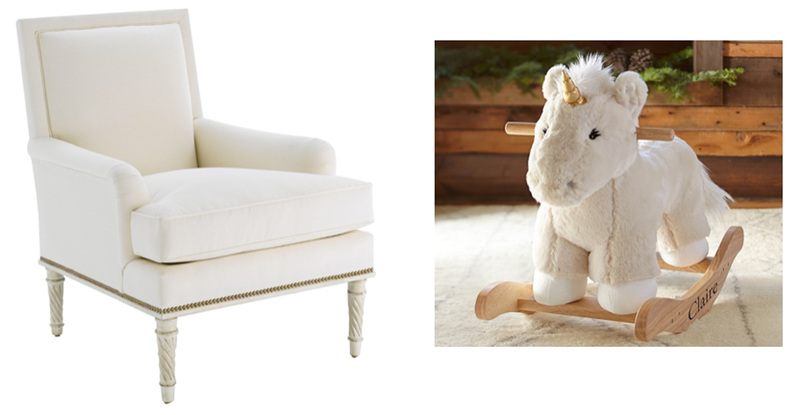 And, mama, if you want to kick your feet up while you nurse or give a bottle, the rocking horse can double as a footstool. To make more room for toy storage you could easily move the laundry basket to the closet or put the diaper genie in the bathroom. Either way, the room will look polished. The book baskets come in several sizes and would make perfect storage for stuffed animals and dolls when tucked into the corner by the crib and window. 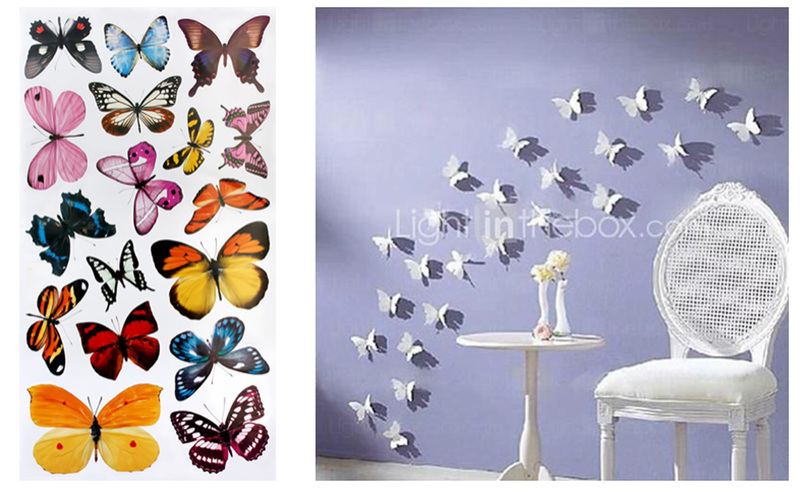 In the weeks to come, we’ll show you how this exact same room can evolve with your daughter as she becomes a young lady. By using even more of the original furniture from version one of the pink room, you can create a precious room that will grow with your darling girl.